Looking for the perfect gift for teachers at the end of the year? How about making them a necklace? Okay, maybe this isn’t a serious gift idea, but the symbolism behind these necklaces is something that your children’s teachers might appreciate. 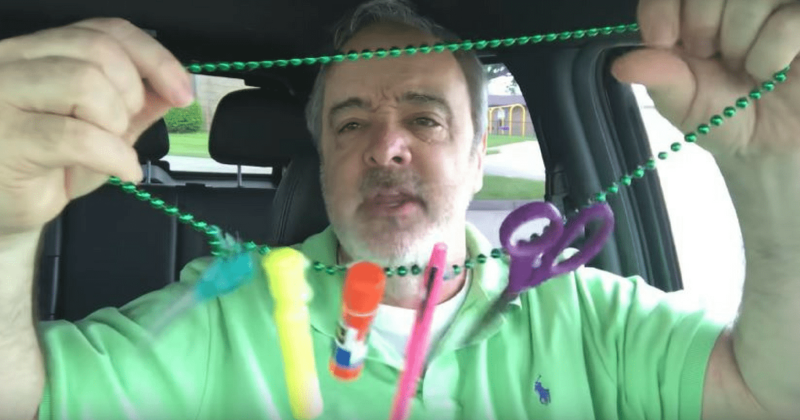 A principal recently made a video showing everyone three DIY necklaces that are perfect for any teacher. Teachers do a lot for our kids and we can really never repay them for all their hard work. They teach our kids all the skills they need to better their minds, and they also nurture them and give them plenty of attention and love when they aren’t home. 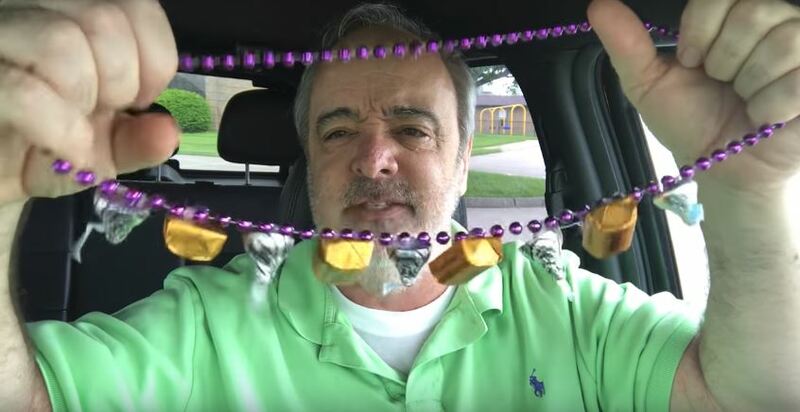 Parents owe teachers a few hugs and kisses, but since that isn’t appropriate, they will have to settle for making a necklace full of them instead. 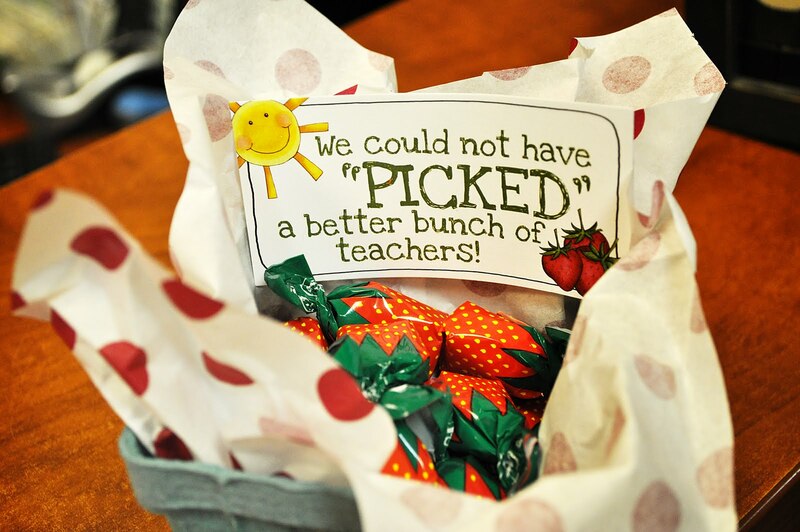 The chocolate version is just as good, and at least the teacher can enjoy a sweet treat after class. What are teachers always asking for? More supplies! The workday necklace gives teachers everything they need to get through the day. You can make it however you want, but don’t forget to add the essentials. Some pencils, scissors, glue sticks and a pack of crayons should do the trick. 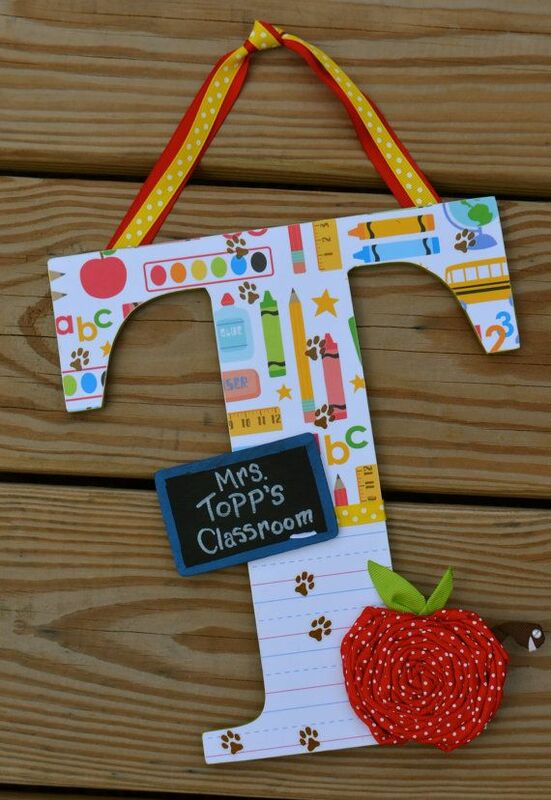 While the teachers might not be able to wear these, they might be able to use some of the supplies. Even though this might be a gag gift, the teacher might actually get some use out of it. The Get Me To The Summer necklace is the kind of gift you can’t send with your kid or give to the teacher in school. It’s more like the kind you slip them in the parking lot or after the graduation ceremonies. You know how hard it is to be with your kid every day. Imagine what it’s like to deal with a whole classroom of kids just like him or her. Wouldn’t you need a drink, too? 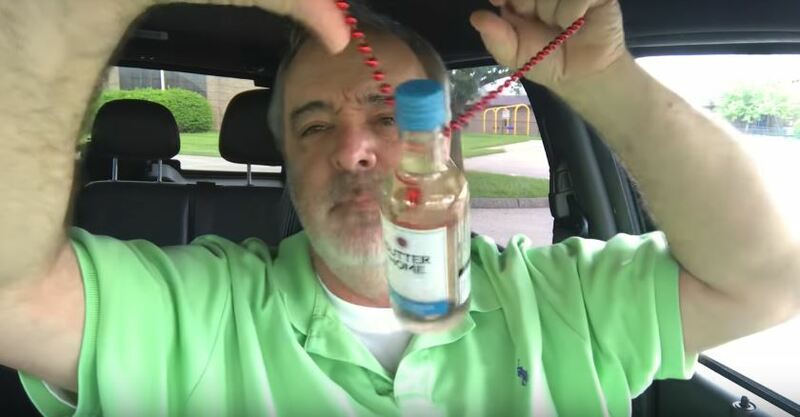 To make this necklace, just attach a mini bottle of the teacher’s favorite booze to a beaded necklace. It can hang from his or her neck and be within reach anytime it’s needed. All jokes aside, teacher deserve a lot more than just one week of appreciation or a few gifts at the end of the year. They are seriously underpaid and underappreciated. Teachers all over the country are going on strike and walking out of schools to demand better pay. If your kids are lucky enough to have a good teacher in their lives, it’s time to show them how much you care. Instead of making a gag gift, such as one of these necklaces, make or buy the teacher something nice. You don’t have to spend a lot of money to show your appreciation. Make some baked treats, buy a $5 Starbucks gift card, hit up the dollar store and throw a few useful items in a basket. 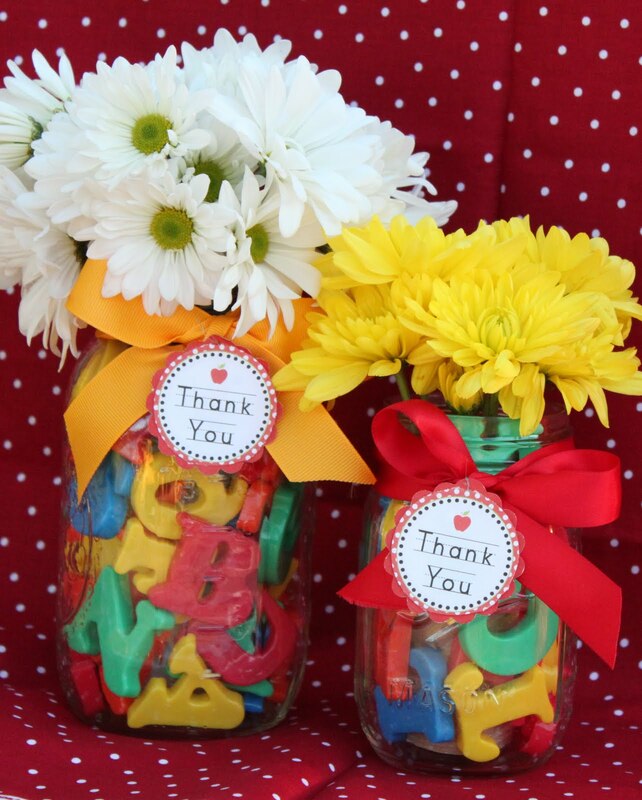 Even a nice card with some kind words will go a long way and let the teacher know how thankful you are for everything he or she has done all year. You can find plenty of other ideas on Pinterest, as well. Teachers make a lot of sacrifices to help their students. They spend their own money on classrooms supplies, pick up the tab when kids forget their lunch money and don’t hesitate to buy coats and shoes for students in need. It takes a really special person to be a teacher. Just because the year is over doesn’t mean teachers get to rest all summer. While kids and parents are vacationing and hanging out at the pool, teachers are prepping for next year. They work after school is out to clean things up and come in early before school starts for the next year to get the classroom ready. Don’t forget about your children’s teachers this year. Show them how much you appreciate all their hard work.